Don't miss out! Sign up and stay up to date! Your source for Canadian cannabis industry news! Paid my first visit to a cannabis dispensary the other day. Say what? That’s right, storefront weed dispensaries are supposed to be illegal in Ontario. But a few former grey-market shops that were forced to shut their doors on legalization day or risk massive fines are taking their chances. Doug “Ontario is open for business” Ford reneged on his deal to allow them to apply for retail licences – so WTF, right? As long as the neighbours aren’t complaining, or so I’m told by the budtender in a too-big toque behind the counter, the cops seem to be cool with it. This one re-opened just before Christmas and hasn’t felt any heat yet. That might have to do with the fact that it’s located on a main street and nowhere near a school, reducing the chances of someone taking issue. Other shops haven’t been so lucky, facing a crackdown on orders from the premier’s office shortly after legalization took effect on October 17. But enough of them that have re-opened – one estimate puts the number at 16 in the province – have so far managed to escape scrutiny. And a good thing, too, given the supply shortages messing with what’s available online through the Ontario Cannabis Store, the only legal source in the province. Haven’t you heard? The OCS is having a problem keeping its metaphorical shelves stocked (again). It’s been a chronic problem, so much so that Licensed Producers are promising to ramp up production to five times current levels to avoid future dry spells. But for the foreseeable future at least, the illicit operations that legalization was supposed to supplant are here to stay – as long as the cops don’t get wise. All I had to do is sign up for a membership – the shop’s way of making sure I’m not a narc – and in I was. The place I visit calls itself a “boutique” but there are enough varieties of flower on offer (mostly indica), oils, shatter and even some Afghani hash not seen in these parts since the Mujahideen were fighting the Soviets. Budtender guy is reluctant to get into details when I try to chat him up about where their supply is coming from – and the cops seeming not to care. Are palms being greased? He chalks it up to keeping a low profile. He says the joint only serves about 40 clients a day. That’s a little hard to believe given the hours the place keeps. How long will that last? There is no telling. Ford was supposed to be good for bud business. There were reportedly personal assurances offered during the election. Curiously, Ford’s buck-a-beer buddies at Cool Brewery in Etobicoke raised eyebrows when it was revealed that they had applied for a cannabis production licence. Indeed, more than a few in cannabis circles were happy to see Kathleen Wynne’s plans for a marijuana monopoly go. But Doug’s turning out to be mostly smoke and mirrors. First he promised retailers the opportunity to apply for retail licences and passed regulations that would allow storefronts pretty much anywhere. Then he flipped the script and decided to hold a lottery for 25 retail licences – that’s for the entire province, with just five in the GTA. They’re set to open April 1. Turns out very few of the lucky winners have any connection to the cannabis business, or the slightest idea how to run a storefront operation. But that’s another story. Ford is also allowing Ontario municipalities to opt out of retail cannabis shops altogether. Out of 414 municipalities in Ontario, 77 have taken a pass on cannabis stores, among them large centres like Mississauga, Markham, Pickering, Vaughan and Oakville. But online mail-order cannabis operations continuing to operate illegally across the province are picking up the slack locally with same-day delivery service right to your door. Meanwhile, for Ontarians looking to score legally through the OCS, its been an altogether different experience. And after a rough start, some of which may or may not have been related to union organizing efforts at its main distribution warehouse, supply issues are back in the news. Navigating the OCS site can be an adventure. I got dinged twice for shipping fees when the site wouldn’t add a second order to my cart. So I had to checkout and log back in. It’s glitchy like that. One second the strain of sativa you want is there. The next it’s gone in a puff of smoke – such is the demand. The quality of the product can also be spotty. I ordered some liiv’s Easy Cheesy and Fantasy Island. Each promised “potency, flavour [and] aroma.” It was okay, but I wasn’t blown away. Maybe it’s the plastic containers OCS ships the stuff in (plastic messes with the high-inducing compounds in cannabis). Or maybe it’s the irradiating of crops that sometimes takes place to prevent mould. There have already been a number of recalls. But without the benefit of being able to see and touch the product, you’re basically buying blind online. I don’t want to come off like a downer. There were always going to be growing pains with legalization. We know this from the experience in other jurisdictions. But the Ford government seems to be making a more concerted effort than most provinces to ball it up. It’s not chaos yet, but the LPs supplying OCS have a lot of catching up to do. For now I’ll take my chances with the shop down the street – even if it is illegal. 420 Intel Canada is your leading news source for the Canadian cannabis industry. Get the latest updates on cannabis legalization in the country, how provinces and territories will implement legal cannabis in their respective locations, updates on Canadian cannabis stocks and developments on how Canada continues to be a major player in the worldwide recreational and medical cannabis industry. 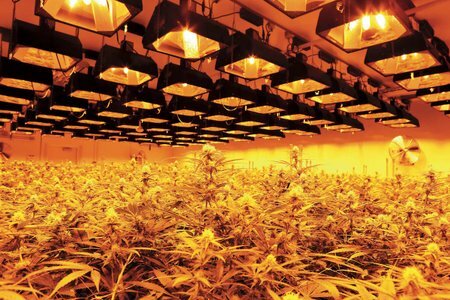 Canadian pot companies are already worth billions of dollars and with imminent country-wide legalization, the Canadian cannabis industry will see an unprecedented amount of growth. 420 Intel Canada is the Canadian Industry news outlet that will keep you updated on how these Canadian developments in recreational and medical marijuana will impact the country and the world. Our commitment is to bring you the most important cannabis news stories from across Canada every day of the week. Marijuana industry news is a constant endeavor with new developments each day. For marijuana news across the True North, 420 Intel Canada promises to bring you quality, Canadian, cannabis industry news. You can get 420 Intel news delivered directly to your inbox by signing up for our daily marijuana news, ensuring you’re always kept up to date on the ever-changing cannabis industry. To stay even better informed about marijuana legalization news follow us on Twitter, Facebook and LinkedIn. 420 Intel is your source for up to date news on the marijuana industry.